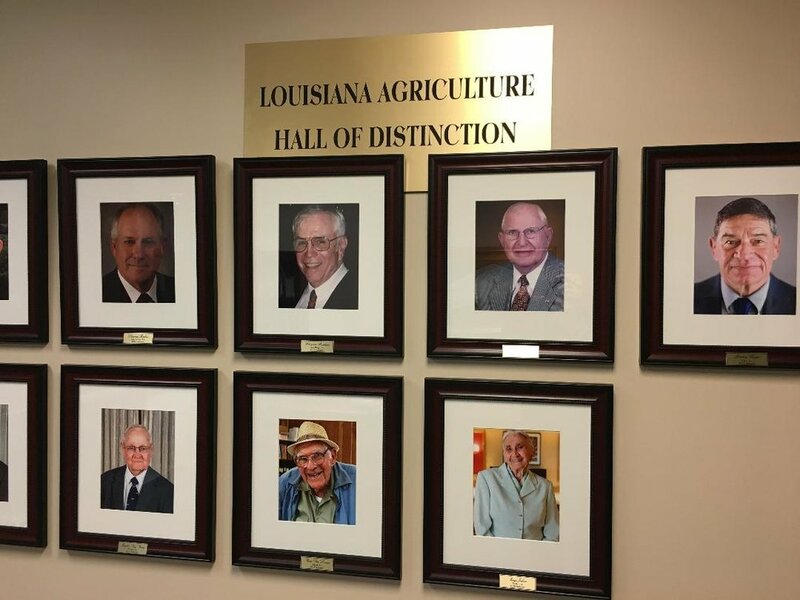 The Hall of Distinction honors any member of the Louisiana agriculture industry that has made a significant contribution to Louisiana’s multi-billion dollar farming sector. The Louisiana Agriculture Hall of Distinction is a joint effort of the Louisiana Department of Agriculture and Forestry, Louisiana Farm Bureau Federation, LSU AgCenter and the Voice of Louisiana Agriculture Radio Network. If you would like more information contact Don Molino at (225) 291-2727, est. 210.